I first fell in love with these shoes when I saw my friend Julia’s wedding pictures. Yes, I thought, I’d get married in this something blue as well. I’d also go dancing in them. I’d even wear dresses more often so that everyone could admire my shoes. Although they’d look great with jeans, too. Jeans and a white t-shirt. Jeans, a white t-shirt and a cocktail that I’d have to keep looking past to catch a glimpse of my gorgeous heels. I’d even forget that the cost-benefit ratio of a pair of velvet pumps is not so much a ratio as an imbalance in my current life. But you know what? Who cares. The benefit of some shoes is not their practicality. I’m wondering if this would be good time to mention that AEYDE did not supply me with shoes in exchange for this post. 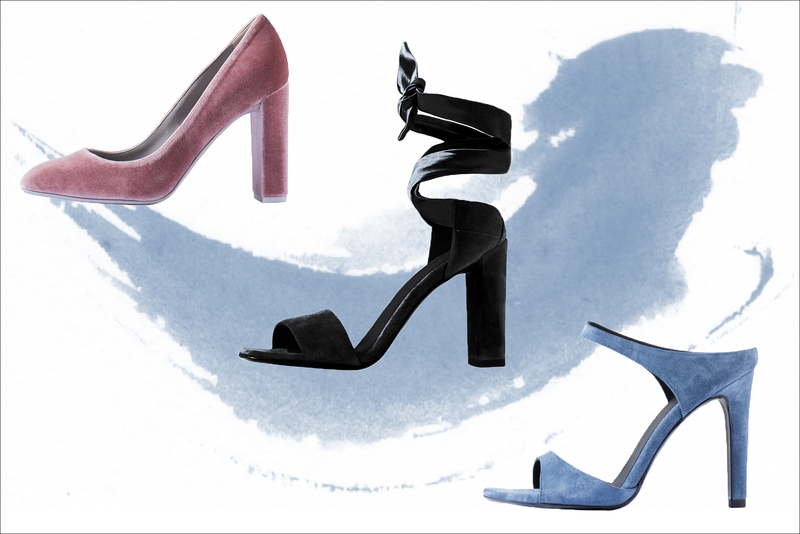 Although perhaps they should consider it as I’d wear pretty much all of their current collection – which I’m not actually writing because I’m trying to score free pumps, but because I genuinely think it’s a brand worth recommending. 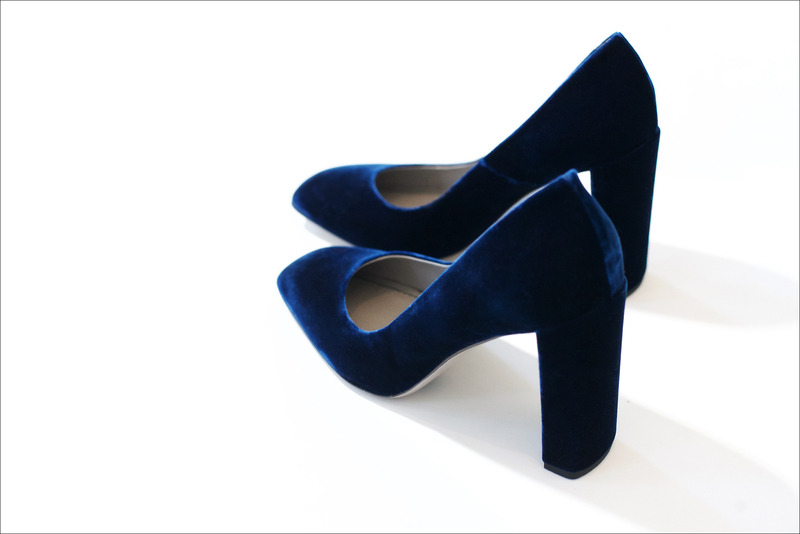 For the fact that they don’t discontinue styles after one season, so that I can not only still dream of the velvet pumps half a year after first spotting them, but I can now dream of them in two colors: ocean blue and the new dusky pink. For the fact that they’re generally skilled at making shoes worth fantasizing over. Like mules in shocking pink. Or baby blue suede sandals. Or olive green satin slippers. 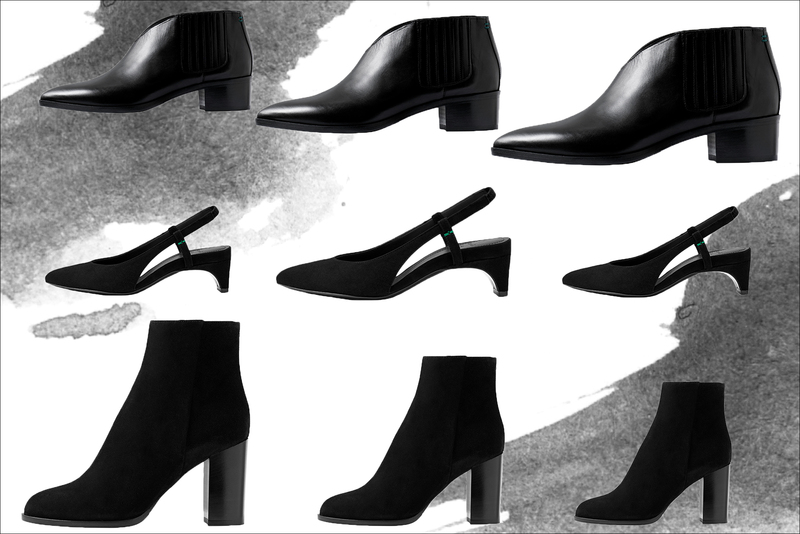 Or, even that, the perfect classic black ankle boot. And for the fact that their shoes look more expensive than they are. You can see the entire new collection here. Just don’t look at the velvet pumps for too long. They’re mine. 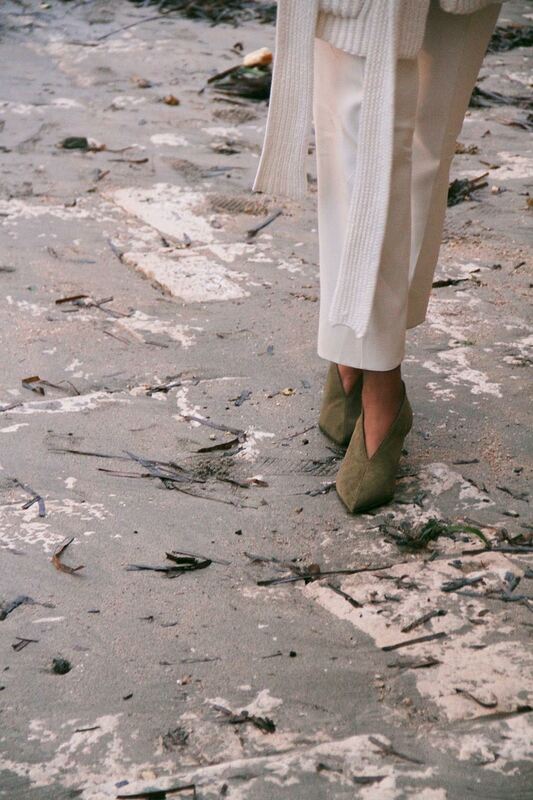 This entry was posted in fashion, hers and tagged Aeyde, high heels, velvet. Bookmark the permalink. Post a comment or leave a trackback Trackback URL. Die Schuhe sind ein absoluter Traum!!! Und dennoch, die Schuhe sind wunderschön. Vielen Dank für die Inspiration! Liebe Marlene, vielen, vielen, vielen Dank, dass Du den Blog wiederbelebt hast, ich habe Dich vermisst. For the record: Die Damen von Aeyde sollten Dich unbedingt für diesen Post ausstatten (erstens, weil die Schuhe toll sind) und zweitens, weil Du das immer irgendwie so schreibst, dass ich sofort online einkaufen gehen muss … Blaue Samtpumps also … naja, wat mut, dat mut. Sags bitte nicht meinem Mann.